Next time you are at Tom Thumb, look for this "Simple Nutrition" pamphlet. I found a stack right by the weekly ads. 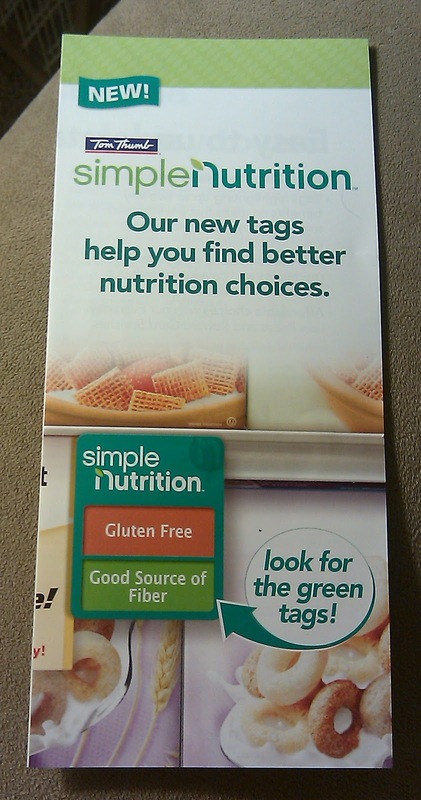 On the back side, there is a coupon for $1 off a $5.00 produce purchase. Produce coupons are rare, so grab a few! They don't expire until August 2011!